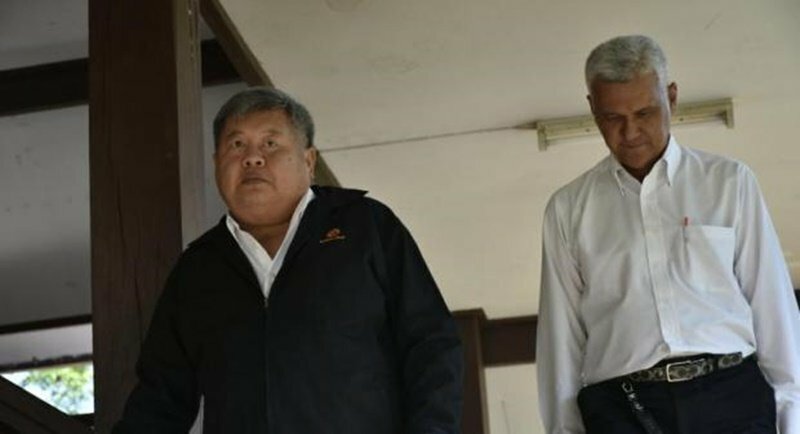 BANGKOK: Conservationists fear that a legal loophole might spare construction titan Premchai Karnasuta, one of the suspects in the notorious Thungyai Naresuan Wildlife Sanctuary poaching case, from having to serve a prison sentence. “It is possible that we will see Mr Premchai receive only a suspended jail term. That scenario is possible because of legal tactics that his team might try to employ,” Sasin Chalermlarp, chairman of the Seub Nakhasathien Foundation, said yesterday (Apr 9) during a Facebook Live broadcast about the case. The foundation, a respected Thai conservation group, has been closely monitoring the poaching case since Premchai and three suspects were arrested on Feb 4. The foundation has been active in wildlife conservation in Thungyai Naresuan for the past two decades. Mr Sasin claimed that he had heard there would be testimony suggesting that Premchai was not present when the crimes were committed. Mr Sasin said observers of the case must stay vigilant despite the assurances initially given by state agencies that the case against Premchai was strong. “At first, officials said there is solid evidence to hold the suspects fully accountable. However, the verdict will depend on testimonies that the public are, as yet, unaware of,” said Mr Sasin. Ornyupa Sangkama, chief of the academic section and an environmental law expert at Seub Nakhasathien, said past sentences given by the Supreme Court for similar crimes are about a year to 18 months for each indictment, and the court has never given the maximum sentence for any poaching case. She added that, according to the criminal code, a first-time offender receiving a prison term of less than five years would most likely have the sentence suspended. Last week, public prosecutors indicted Premchai on on six of the original 11 charges proposed by the police investigation team. Prosecutors will decide by the end of this month whether to press charges against Premchai over allegations that he attempted to bribe sanctuary officials on the day that he and his party were caught. Premchai might also face charges over his illegal possession of weapons and African ivory, both of which were discovered after a search of his house. 'Fear'? There was never any fear that he would go to jail- that's not how the system 'works' in Thailand. Is it not time for him to be headed to a Monastery for a week yet? Premchai not go prison. May be his cook goes a few weeks. Red Bull boy ( where is he?) not go prison. That suspect criminal monk Dhammajayo,( where is he?) alleged embezzlement, money laundry, land encroachment, all with a pocketbook full with crimes never go prison.